Didn't like them or participate in the craze in the mid 60's. Of course now it's a big deal. We were skateboarding in the 50's. 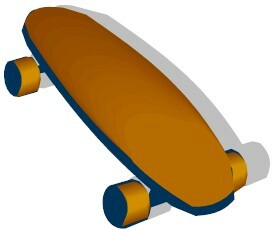 Take apart a clamp-on roller skate and fasten it to a board. Made our own scooters too.